Ewooh! 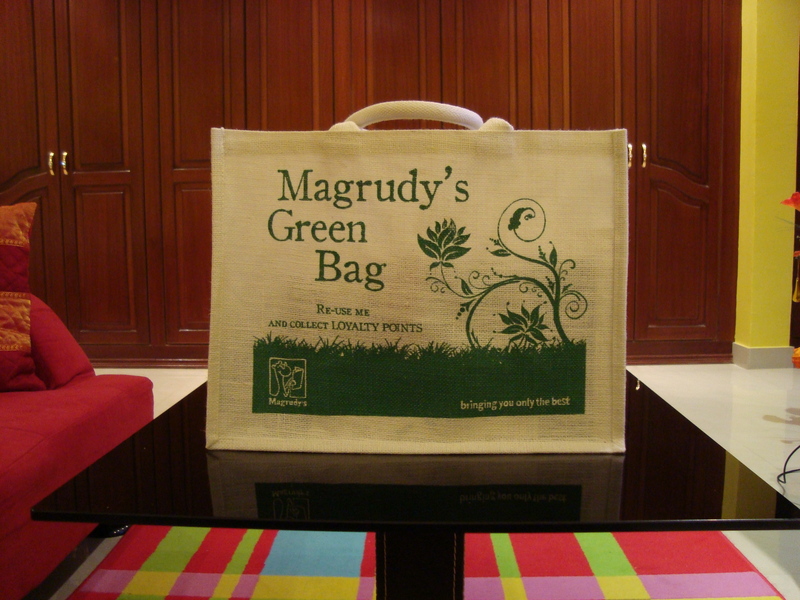 What's inside this Magrudy's Green Bag? Or maybe there isn’t such a thing as having too many books. I purchased those books from those three stores in a six-day Dubai trip. Although, I’ve to say that I re-bought couple of books because I lent them to people who refuse to hand it back. Don’t worry; I’ll give them a piece of my mind once I see them again. And yes, there’s one Arabic-written novel in that pile. I have few books that I did not had the chance to read them yet! Time passes so fast! lol I was browsing some of these books in Borders today mysel =) Point out the good ones. BTW, I got Crisis Core: FFVII a few days ago. I honestly can’t wait to play it. Do you think I should at the same time I’m playing the original FFVII? I have a feeling one would ruin the other. You got some good ones! That’s a great reading list. 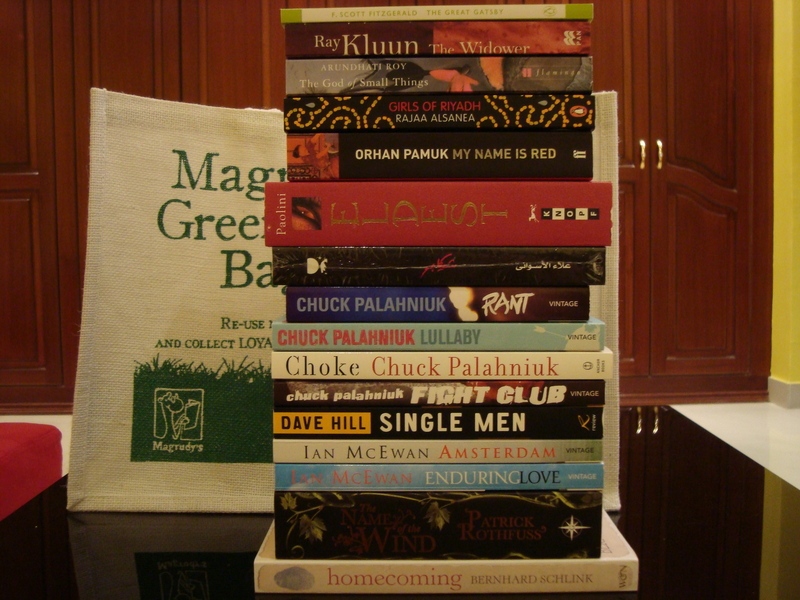 Let us know how you’d like them..
YAAY you’re turning into a chuck palahniuk addict like myself or so i hope :D! 7amdella 3ala salamtek, you’ve been missed! i love Ian mcEwan. He’s my favourite. Well, if you reached the point in the original game where Cloud tells the real story about Zack and Sepiroth, then I can give you the green light to play Crisis Core, otherwise, I highly recommend that you continue playing the original game for a bit. Thanks dear, and I’m so buying “Cups of Tea” as soon I get back to the US. It sounds very promising book indeed. I’ll make sure to keep you updated with my readings, and would it more if you could recommend me some great books so I would add them in my Amazon’s shopping list. I guess that’s the biggest challenge to any reader really. I’ve been reading more books lately than anytime in my entire life to be honest. No, no, I did like Palahniuk’s Invisible Monsters but I still didn’t find it mind blowing and funny as Chock, nor as captivating as Haunted. But many people informed me that those books I picked up are among his best efforts. Plus his writing style is really extraordinary and addictive; I cannot seem to get enough of him. McEwan is among my favorites as well, after Atonement and Saturday, I had to pick up his greatest contributions.